16th October, 2016 – West End Festival Forums – West End Community House will host three open air forums in the early evenings of the last week in October at the much loved People’s Park in Boundary Street. Find the program here. 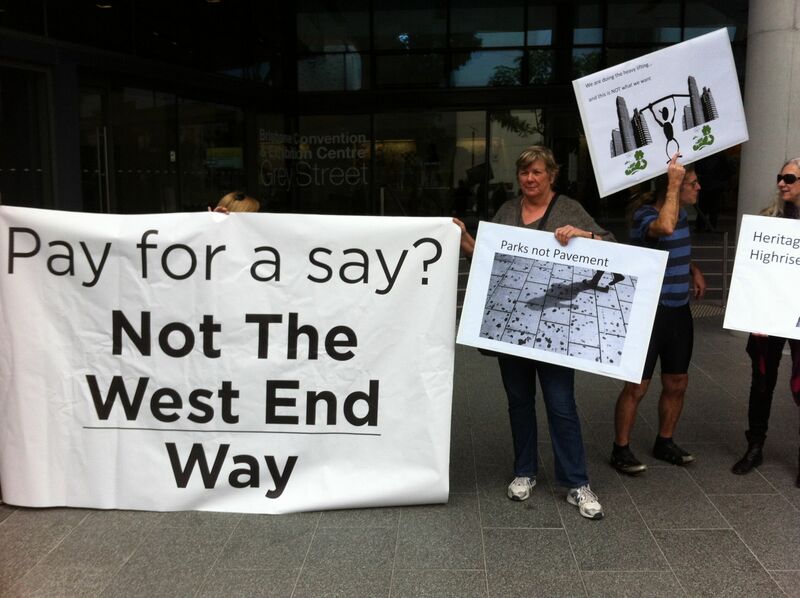 Just four weeks away from the Council elections, The Gabba Ward community continues to express dissatisfaction with the unprecedented amount of development applications currently in play and the lack of meaningful community consultation, reflected in back-to back pre-election events organised in West End. 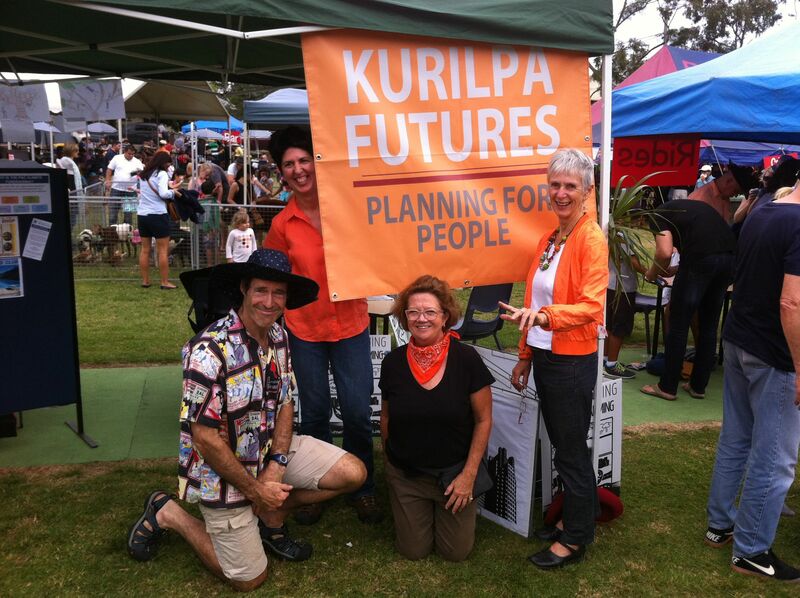 Brisbane Residents United – March and Rally – 15th November, 2015. 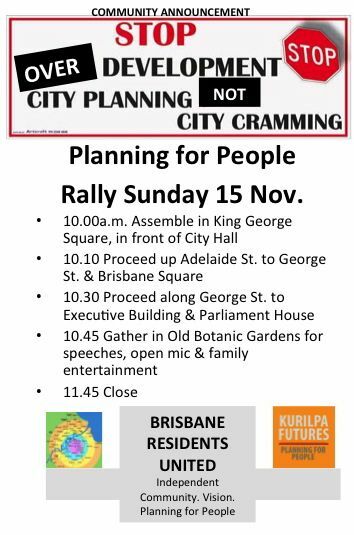 Residents from across Brisbane banded together under the banner of Brisbane Residents United, starting at 10.00am, from Reddacliff Place to the City Gardens, to show the Brisbane City Council we care about what happens in our city. 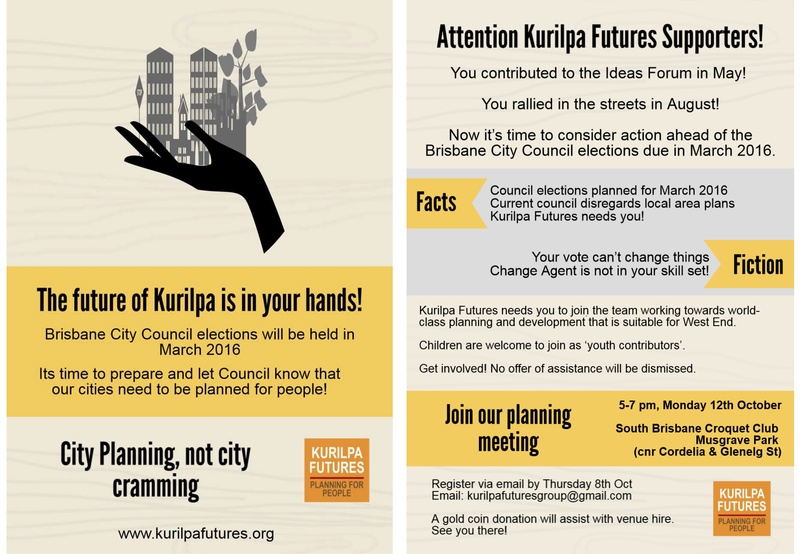 Summary of meetings with the Deputy Premier Jackie Trad on the 5th August, and the Lord Mayor Grahame Quirk on the 11th August, where the Ideas Forum Report was presented. Where it all began – 21st August, 2014. 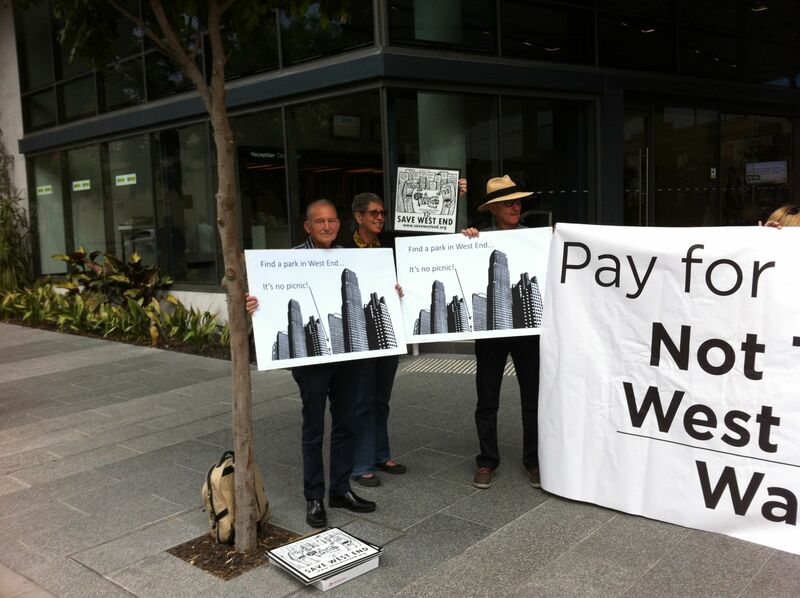 Protesting in front of the Convention Centre on the day of the $150 lunch launch of the Draft Kurilpa Master Plan.